Click on the symptom you are having and you will be presented with a list of safe, effective products and articles. Uterine fibroids are fibrous, non-cancerous lumps that grow in the uterus and surrounding tissue. Fibroids are partly caused by excess estrogen levels which is due to excess estrogen exposure and production in a womans body. Because of this and an insuffcient ability to metabolize/break down her own estrogen fibroids are stimulated and grow and continue to grow until the external and external sources of estrogen are controlled. What You Can Do to Stop Uterine Fibroid Growth and Shrink Them. Improve the health of your liver which has been compromised from Pharmaceutical drugs including hormone therapy of any type, whether it be past birth control use or hormone replacement that uses synthetic hormones by using the herb milk thistle. Metabolize excess estrogen from your body by using the herb vitex/chaste tree known for the ability to improve fibroids. Lastly supplement your body with bio-identical progesterone to balance your hormones. 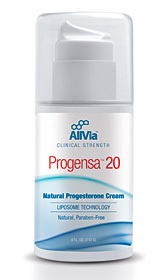 Progesterone balances the excess estrogen ratio. Progesterone is the single most accepted medical treatment for shrinking fibroids. The most important thing you can do is start early. This approach has proven effective for women across a large range of presenting symptoms. Patience, persistence and getting started early is important. Women have a vast improvement, sometimes feeling the difference within the first cycle of treatment. Women have reported physical changes within days of beginning care. Total resolution will take many months but with positive reinforcement noticed early it makes the course easier to follow. Bioidentical progesterone cream minimizes the size and frequency of uterine fibroids by balancing the excess estrogen levels. ProSoothe is a herbal formula that significantly improves uterine fibroids and pelvic pain/cramps, irritability, tension, mood swings, acne, headaches, breast pain, bloating and weight gain by aiding the body in removing the cause, excess estrogen. This herbal formula contains dandelion and vitex,(chaste tree) that helps the body remove exogenous,(external excess estrogen)from synthetic hormone therapy, birth control or contaminated food. Commercially raised cattle and poultry are known to be fed estrogen to bring them to market sooner and heavier.(xenosteroids). Beyond the treatment of liver disorders, the herb milk thistle enables the liver to operate as it should helping the body metabolize estrogen. Naturopaths and holistic doctors look beneath the symptoms of an illness to its underlying cause, often discover that the liver has had a role to play. This is true across a vast range of different ailments including uterine fibroids. When a women has taken birth control, synthetic hormones or pharmaceutical drugs her liver functions less effectively and is unable to metabolize estrogen leaving a woman with excess which heightens premenstrual syndrome and the more serious condition, uterine fibroids. Natural Clinical Strength progesterone reduce the pain and discomfort associated with endometriosis by bringing the elevated estrogen levels down, reducing estrogen induced growth, bleeding, pain and inflammation.